In a 2011 competition held by the German Federal Ministry for Economic Affairs and Energy ( BMWi), Sealed Cloud outplayed 116 other contestants. 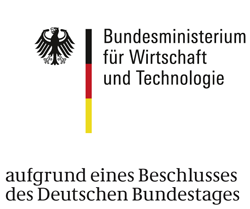 As a result, the basic technology’s R&D enjoys further Government support for broad application in German industry. 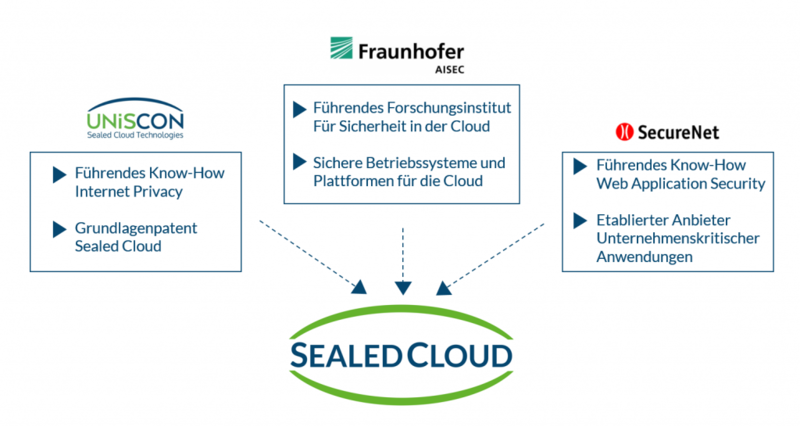 The objective: to provide other applications a Sealed Cloud platform. Perimeter Security: Transition security between corporate network and Internet is SSL encrypted (key length: 2048 bit). Encryption & Key Distribution: Every single data set within the database is encrypted according to Advanced Encryption Standard, i.e. AES (key length: 256 bit). The only person able to access the key is the respectively authorized party. Data Clean-up: If a party attempts to access the application servers, whether intentionally or inadvertently, all unencrypted server data is deleted instantly, prior to entry. Separation of Powers: A set of technical measures ensures the separation of powers among the various parties. The data protected by the basic technology enjoys comprehensive, overall protection: from transfer, to processing, to memory.